The above info came from Moses, and was edited by yours truly (contact me). The image came from Amazon.com. Panyo Panyo Di Gi Charat is a series about the adventures of Dejiko when she was a child. In this anime she is sweet and caring, which is quite strange. Dejiko has 2 childhood friends, one a narcoleptic girl and one an energetic girl (Meek). 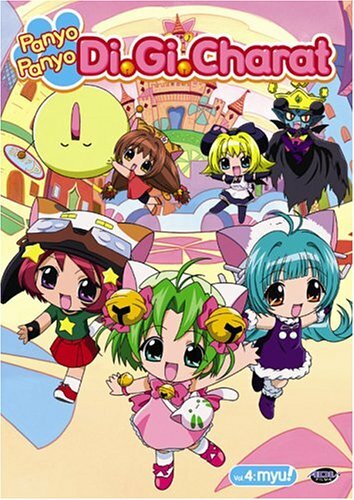 Unlike other Di Gi Charat series this one doesn't really focus on humor. The above description came from Moses, and was edited by yours truly (contact me).